Three partners at Fisher Brothers, which owns the New York Curb Exchange at 86 Trinity Place, each gave at least $25,000 to Cuomo weeks before he approved the tax breaks. The location is one of five Manhattan properties that was singled out for tax relief in a January bill. ALBANY — The deep-pocketed real estate investors who own a landmark former stock exchange building in lower Manhattan lavished Gov. 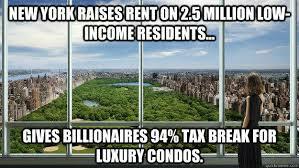 Cuomo with $76,000 in campaign donations just weeks before Cuomo approved a lucrative tax break for their property. On Monday, August 12, join members of the Fair Elections campaign and housing advocates in demanding a Moreland Commission investigation of the Real Estate Board of New York (REBNY) for possible involvement in public corruption. Contact us at 718-864-3932 today. 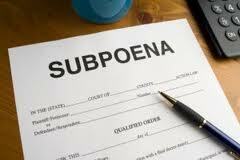 A New York state commission to investigate corruption has issued subpoenas to three high-profile New York City real-estate developers, seeking information related to valuable tax breaks they received in state legislation, according to people informed of the subpoenas. The subpoenas were sent in recent days to Extell Development Co., Silverstein Properties Inc. and Thor Equities, the people said, and seek information related to a housing bill that passed the Legislature and was signed by Gov. Andrew Cuomo in late January.